Today we will be joined by author and truth teller Jerry Haymon who recently publish his first book titled “Black Mafia Family St. Louis (The Untold Story).” We will discuss with him the plight and plans America has for the Black youth trapped in cycle of violence, poverty, police brutality and prison enslavement. Jerry Haymon author of Black Mafia Family St. Louis(The Untold Story). 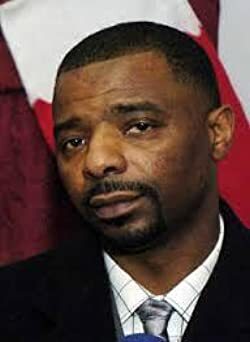 Jerry Haymon was born in 1966 in Gary, Indiana. He has experienced his share of struggles in life. He has gone from being a homeless single father to becoming extremely successful in business to having it all taken away overnight. He writes because he feels that the truth must be told; no matter who it offends. His books are written to entertain and inform. Black Mafia Family St. Louis(The Untold Story) is his first published novel. His message cannot be ignored.